Today, I especially thank God for his faithfulness to you who have made it possible for this church to be a holy place of prayer and worship. Our gratitude also to God for his sustaining care for you, particularly during the turbulent times of the past, and for affording you this time of great hope and opportunity, even though of course it comes with challenges. It is no surprise that immediately after dedicating the Temple in Jerusalem – in fulfilment of the long-cherished plan of David to erect a temple to the Lord (1 Kings 8:22ff) – Solomon jumped straight into a prayer of dedication. This included a prayer for the royal family, for the true significance of the Temple, and for God’s help when national problems such as defeat, drought and other calamities befell God's people. There was also a prayer for the foreigner who came to the faith of Israel and prayers for times of war and captivity. The spot on which the Temple was built had long been regarded as a consecrated place. It was here that Abraham, the father of the faithful, had revealed his willingness to sacrifice his only son in obedience to the command of God. Here God had renewed with Abraham the covenant of blessing, which included the glorious Messianic promise to the human race through the sacrifice of Jesus. Here it was that when David offered burnt offerings and peace offerings to stay the avenging sword of the destroying angel, God had answered him by fire from heaven. And now once more the worshippers of God were here to meet their God and renew their vows of allegiance to him. The time chosen for the dedication was the most favourable one – the seventh month, when people from every part of the kingdom were accustomed to assemble in Jerusalem to celebrate the Feast of the Tabernacles. This feast was, like this feast with you today, pre-eminently an occasion of rejoicing. The labours of the harvest had ended and the toils of the new year had not yet begun, the people were free from care and could give themselves up to the sacred, joyous influences of the hour. The scene was of unusual splendour. Solomon, with the elders of Israel and the most influential men among the people, had returned from another part of the city, where they had brought the Ark of the Covenant. From the sanctuary on the heights of Gibeon had been transferred the ancient tabernacle of the congregation, and all the holy vessels that were in there. And these cherished reminders of the earliest experiences of the children of Israel during their wanderings in the wilderness and their conquest of Canaan, now found a permanent home in the building that had been erected to take the place of a portable structure. Realising the significance of all this, Solomon – looking towards heaven, overwhelmed with joy and kneeling – exclaimed: “Lord God of Israel, there is no God like you in heaven above and on earth below – you who keep your covenant of love with your servant who continues wholeheartedly in your way ” (1 Kings 8:23). Friends, we are here to witness God’s wonderful acts in our lives. When you look back at what God has done to make this day a reality, we can all say: Lord, there is no God like you. When Solomon ended his prayer, fire came down from heaven and the glory of God filled the temple. Here in Umlazi today, I invite each and every one of you to give yourselves wholly to God and his service, and to magnify his holy name so that he will transform our hearts and minds for abundant life. Although God does not dwell in temples made with human hands, yet he honours with his presence the assemblies of his people. He has promised that when we come together to seek him, to acknowledge our sins and to pray for one another, he will meet with us through his Spirit. Those who come together to worship him should put away every evil thing. Unless we worship him in spirit and truth and in the beauty of holiness, our coming together will be of no avail. Today’s Gospel (Lk 19:1-10) gives us another picture of God’s covenant love. Zacchaeus is an example of what is possible with God. The Roman authorities tasked him with the responsibility to collect taxes. He did not receive any salary for his work but collected as much money as he could so that he would have a handsome rake-off after paying the government the appointed sum. His attempt to see Jesus, known as the friend of a tax collectors, indicates his interest in Jesus. Whether Zacchaeus hoped to be hidden from view is not certain, but in any case, Jesus summoned him with a request that he provide lodging. The command was obeyed and Zacchaeus showed both repentance and joy as he welcomed Jesus to his house. Outside there were great murmurings about Jesus’ fraternizing with such a man, but Jesus was able to justify his actions – salvation had come to the house of Zacchaeus, a son of Abraham who was as entitled to receive and to hear the Gospel as any other Jew. This act fully and finally summed up the purpose of Jesus’ coming; as a shepherd seeks for the lost sheep, so the Son of Man seeks and saves the lost of humanity. The question is, who is Jesus here and now? What is true religion in the light of the moral decay we see in the world today? Peter (1 Pet 2:4-10) draws together two strands of prophecy: the precious foundation stone and the rejected keystone. Jesus Christ is the foundation on which the Christian Church is built. But he is also portrayed in this reading as the keystone who is rejected by the builders. However, belief in Christ is the keystone essential to the completion of the building: without that belief, there can be no church. 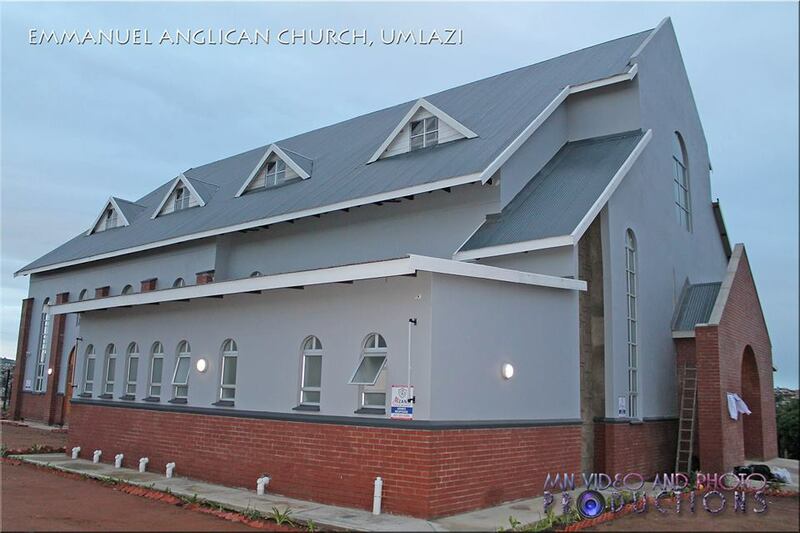 At the end of the day, you – the people gathered here in St Augustine's – are crucial to the building of the Kingdom of God in this place; without you to remind this community of the presence of God in Umlazi, this new structure – wonderful though it is – is meaningless. You are not literal pieces of rock but are persons who derive your life from Christ; Christ who is the original living stone from whom you have come, the life-giving spirit. The whole body of Christ, priests and believers, are to reflect the holiness of God and that of their high priest, offer spiritual sacrifices, intercede for man before God and represent God before man. Friends, that is true for us too: we can never be followers of Christ unless we are the living stones rooted in Christ. In a meeting of the Anglican Archbishops of Africa in Nairobi recently, we discussed issues that affect our life in the Communion. Our emphasis was among other things on the challenge of evangelism and the need to disciple young people. We also discussed the increase in some areas of violence and persecution using religion to justify it. In this regard, we recall the recent incident of the bombing of the mosque in Verulam, and the threat it posed to innocent lives. As we have moved from the Ascension to Pentecost – with many praying for evangelism under the theme, “Thy Kingdom Come“, we need to ask: what is true religion? Tomorrow we will be receiving the gift of the Holy Spirit. As we prepare for that, we also need to ask: What anticipation do you have of Pentecost? What are the fruits of the Spirit? For you, do you leave them out or just recite them? Jacob in Genesis 28: 10-22 says “surely the Lord is in this place – I did not know.” Are you that place that reveal God? As we wrestle with these questions, may the Holy Spirit that brought blessings in the Temple during Solomon’s prayer, the Spirit that changed the life of Zacchaeus for the better, and the Spirit that God's people experienced like a rushing might wind at Pentecost transform your lives to be living stones for the foundation of God's church in this Diocese. Jesus lives, and because he lives, we shall live also. From grateful hearts, from lips touched by holy fire, let the glad song ring out, Christ is risen! He lives to make intercession for us. Grasp this hope, and it will hold the soul like a sure, tried anchor. Believe and you shall see the glory of Incarnate Christ.